In this section you will find important retirement information including planning for and funding retirement. 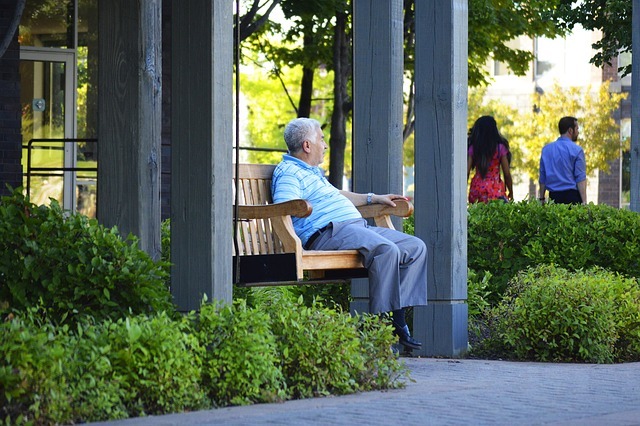 Do you know how much you will need to retire comfortably? Or how long will your retirement savings will last? Or whether or not you will be eligible for the Government Age Pension? Asking yourself these questions, setting goals and putting strategies in place is one of the best ways to start planning for your retirement. With many of us living longer and having higher job satisfaction, people are questioning the need to retire at age 65. A transition to retirement (TTR) strategy is one way you can make the gradual move to retirement. What is Transition to Retirement? A transition to retirement strategy allows you to start accessing your super while you are still working. It helps you to gradually reduce your work hours, whilst supplementing your salary with your super. You must have reached your preservation age and you cannot take it as a lump sum. Income is to be taken as regular payments, subject to an annual limit. To start a transition to retirement strategy you will need to deposit some or most of your super into an income stream / pension account. You must leave a small amount in your accumulation account so you can continue to receive ongoing employer super contributions and any voluntary contributions you may make. Once your income stream account is opened, you must then withdraw between 4% and 10% of your starting balance each year, depending on your age. View WA Super’s educational module ‘Transition to retirement‘ to learn more. Knowledge can help to maximise your money and ideally create an even better retirement. Members of WA Super have access to personal financial advice on a fee for service basis. Personal financial advice is provided by financial planners employed by WA Local Financial Services Pty Ltd (Western Financial), a wholly owned subsidiary of WA Super, as authorised representatives of Quadrant First Pty Ltd AFSL 284443. Western Financial qualified financial planners will be able to analyse your specific situation and guide you towards a result tailored towards your personal circumstances. Start planning today by contacting a Western Financial financial advisor. There is no charge for the initial consultation and you will be provided with a quote before any work is done. View WA Super’s educational module ‘Financial Planning’ to learn more. More information about the Financial Planning service is available on the Western Financial website at www.westernfinancial.com.au or call (08) 9480 3585 to make an appointment. The exact amount of money you will need to retire on will depend on many factors, including the type of lifestyle you expect. As a guide, the ASFA Retirement Standard has been created to show you the types of expenses you will need to cover. Find out how much you need to spend in retirement with the ASFA Retirement Tracker Calculator. At WA Super, their allocated pension product is called WA Super – Retirement Solutions, Income Stream. This product gives you a regular income stream in retirement. It can be a tax effective, flexible way of managing your retirement money. There are no fees when you transfer from the WA Super – Super Solutions product to the Retirement Solutions – Income Stream product. From 1 July 2017, a $1.6 million transfer balance cap will apply on the total amount of superannuation you can transfer into the tax-free retirement phase. This is regardless of how many accounts you hold and how many times you transfer money into retirement phase. Subsequent earnings on balances in the retirement phase do not count towards the cap. Amounts above the cap can remain in an accumulation account (where earnings are taxed at 15 per cent) or outside the superannuation system. If you transfer an amount into retirement phase in excess of the cap you will be required to remove the excess, including the notional earning on the excess. If you choose not to, the super fund will be required to remove the excess on your behalf. The transfer balance cap amount will be indexed periodically in $100,000 increments in line with the Consumer Price Index (CPI). For more information about the Transfer Balance Cap, refer to the Australian Taxation Office website. you reach age 65 (whether continuing to work or not). Applications for WA Super – Retirement Solutions, Income Stream can only be received within Australia. If you have reached your preservation age you can access your super without having to retire or leave your job. This is called ‘Transition to Retirement’ and allows you to continue building up your super by way of employer contributions, salary sacrifice, or non-concessional contributions, while drawing on it at the same time. You can take advantage of the Transition to Retirement rules at WA Super by transferring all or some of your super into their transition to retirement product , called WA Super – Retirement Solutions, Transitional Income Stream account. you are required to pay a contributions surcharge or superannuation related tax liability. Applications for WA Super – Retirement Solutions, Transitional Income Stream account can only be received within Australia. To find out more please contact WA Super on (08) 9480 3500 or visit www.wa.super.com.au. This is a paid promotion by WA Local Government Superannuation Plan Pty Ltd, as Trustee of the WA Local Government Superannuation Plan (WA Super). Other than payment for advertising, no commissions or other fees are payable to NZRelo. Information provided here will change from time to time, is general in nature and not tailored to your personal and financial situation. You should consider if the information is appropriate to you. Before making a decision about WA Super, you should read the Product Disclosure Statement available at www.wasuper.com.au or by contacting the Fund on (08) 9480 3500. All applications must be made and received in Australia. WA Super is the trading name of WA Local Government Superannuation Plan ABN 18 159 499 614 and its Trustee is WA Local Government Superannuation Plan Pty Ltd ABN 64 066 797 162, AFSL 269006.